Lumbar puncture preparation involves following a few basic safety measures. If you remember these basic precautions, you can greatly reduce the risk of facing any adverse lumbar puncture side effects after the test is carried out. During the procedure, the patient will be required to lie down with the knees pulled up against the chest, or sit on the edge of a chair and lean forward. Either way, the intent is to expose the lumbar region (lower back). 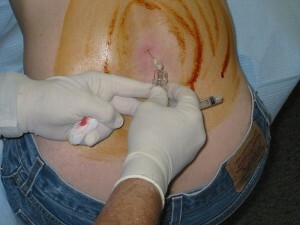 The doctor will then clean and disinfect a small area to insert the spinal needle. A local anesthetic will first be applied to the area, and then a hollow needle will be inserted into the spinal canal in order to extract some Cerebrospinal Fluid (CSF). A Lumbar Puncture is basically a diagnostic procedure, but in some situations, it might serve other functions. It is mainly used to diagnose neurological disorders and infections like meningitis that affect the nervous system. You must inform your doctor of any pre-existing medical conditions like problems related to blood clotting. You must inform your doctor if you are allergic to any medicines, such as certain anesthetics. If you take any anticoagulant medicine or other blood thinners like aspirin, inform your doctor of this, before the procedure. If you take any herbal remedies, you must tell your doctor what these are. Some herbal remedies can act as blood thinners. If you are pregnant, or suspect that you might be pregnant, inform your doctor. During the lumbar puncture preparation phase, you will be asked to sign a consent form that details the risks involved. If you have any concerns about these, you should discuss them with your doctor. Also, before the procedure starts, you will have to empty your bladder. The hospital staff will remind you about this an hour before the procedure. The patient should avoid eating or drinking up to four hours before the procedure is scheduled. The patient must come prepared to stay in bed-rest for 24 hours after a lumbar puncture. The patient should be in a relaxed frame of mind before the procedure. This results in reduced muscular tension, making it easier for the needle to pass through the tissues to the spinal canal. Sometimes, additional procedures like a CT scan might be necessary before a lumbar puncture. If there are any indications that a patient might have a tumor or swelling in the region of the brain, a CT scan should be performed. This will confirm or eliminate the existence of any inflammation, tumor or other growth in or around the brain. 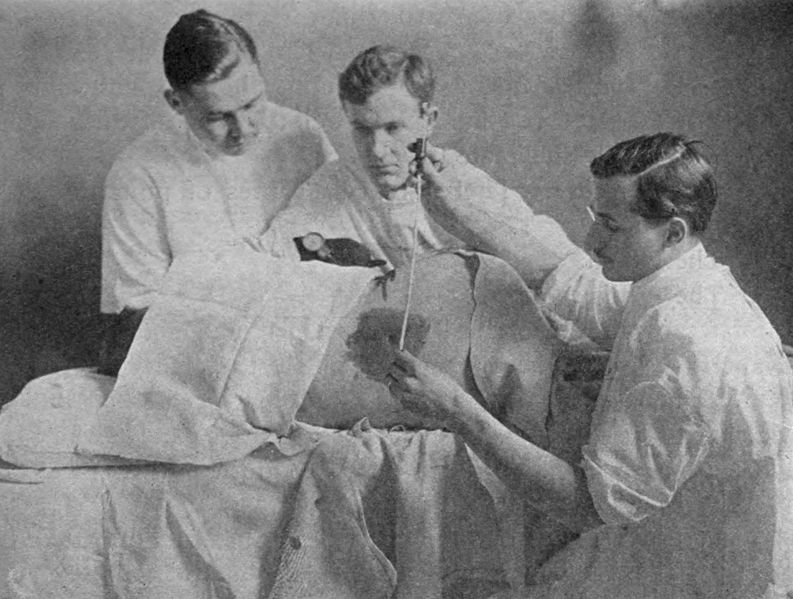 If such a problem exists, a lumbar puncture test might result in increased intracranial pressure, and for this reason, a doctor might explore possible alternative procedures to avoid a lumbar puncture. Lumbar puncture preparation is easy as long as the doctor’s instructions are followed. Remember the points listed above, and you should be easily able to avoid any complications. Serious lumbar puncture side effects are rare, as it is a relatively safe procedure. This procedure, used to extract cerebrospinal fluid for analysis, is a very important diagnostic tool in many nervous disorders and diseases. 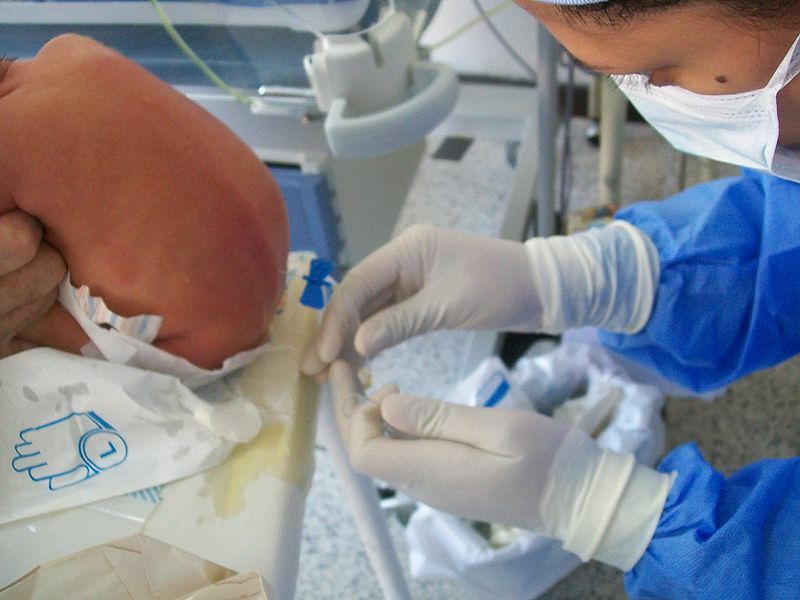 However, similar to most medical procedures, there are possibilities of complications. Some of the lumbar puncture risks have been discussed below. The most common among lumbar puncture side effects is a headache. This effect is felt by around 30% of people who have undergone the procedure. The headache can range from moderate to severe, and it can be accompanied by dizziness, nausea and vomiting. The headache usually starts from a few hours to two days after the procedure has been performed. It can last for several days, or it can disappear within a few hours. The main cause of this headache is the leakage of spinal fluid into the surrounding tissues. In some cases, this procedure can cause back pain. After the procedure, you may feel tenderness or pain in your lower back that might extend down to the back of your legs, and this is nothing to be concerned about. Rarely, an injury to the blood vessels in the region around the spinal canal can occur when the needle is inserted. This might result in localized bleeding, and this is one of the rare lumbar puncture side effects. Bleeding can also occur if the patient has a blood clotting disorder. Intracranial pressure due to the presence of a tumor or other causes can cause a brainstem herniation. Extraction of a little CSF can increase the pressure on the brain, pressing it down towards the spinal cord. This is an extremely rare occurrence. Medical History: The patient needs to give his full medical history to the doctor before the procedure is done. This will ensure that the doctor knows if the patient has any medical conditions (like a blood clotting problem) before the Lumbar Puncture is performed. Tests to Eliminate Possible Complications: Certain diagnostic procedures like a CT scan might be performed to identify any possible risk due to a preexisting condition. For instance, if there is a suspicion of a tumor in the region of the brain, a CT scan can help confirm or eliminate it. If a tumor is present, it increases the risk of brainstem herniation. Medications: If the patient is taking anticoagulant or other blood thinner medications, it can increase the risk of post procedural bleeding. Rest: Patients are often advised to rest for a few hours after a Lumbar Puncture has been performed. 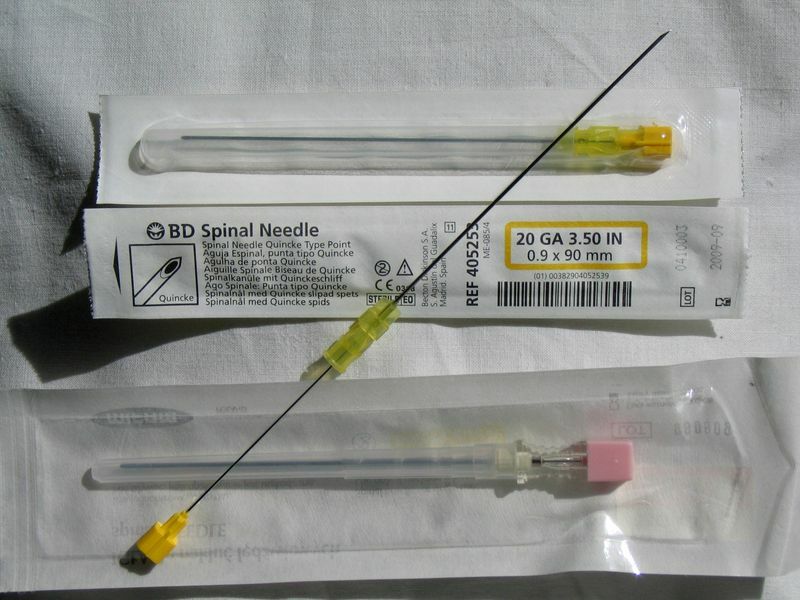 This can help reduce the chances of the patient experiencing a post lumbar puncture headache. The lumbar puncture is a vital diagnostic tool for detecting critical disorders that are related to the central nervous system. It is a safe procedure, but occasionally, it can push up some complications. Taking a few precautions before and after the procedure can greatly help reduce the risk of lumbar puncture side effects.